I had to update the photo of this one! This post is from last year, and my current phone takes much better pictures (plus I use the Fotor app to edit them now). I figured I would leave the old photo there anyway. 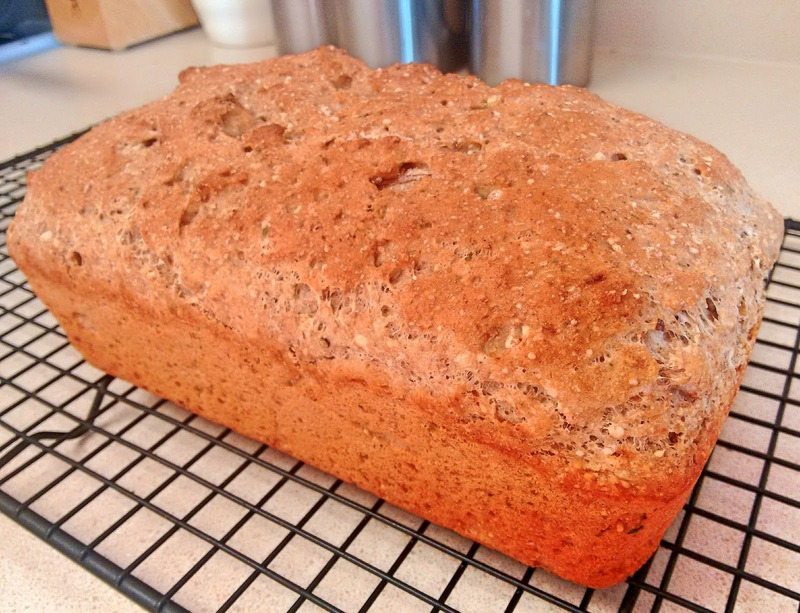 Beer bread is a great way to start making homemade bread, since you don't have to learn how to work with yeast or knead the dough. This bread rises right away too! No need to proof the bread before baking! It doesn't get easier than this. 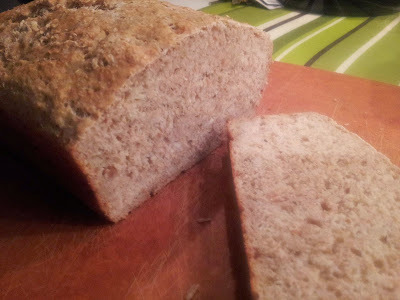 I've made various beer breads that were sweet (my favourite being the Chocolate Cherry Beer Bread), but wanted to try a savoury version. I used Moosehead for this one, but you can use any beer of your choice. This bread was amazing with some butter on it when it was fresh from the oven! I think this was my best bread yet. In a large mixing bowl, combine all dry ingredients, and mix until uniform. Add water and beer. Quickly mix the batter and pour into loaf pan.